Many trucking companies are looking ahead to 2014 to try to assess budget needs, driver hires, tonnage requirements and more for the coming year. It’s not as easy task. As any trucking firm will tell you, there are uncertainties along the way, amid the still-stagnant economy. Our company is looking at a variety of economic factors, including load projections, retail purchasing levels, and housing starts, among other things. Some of the economic news is slightly better than what we’ve seen in recent years. There has been slow but steady job growth throughout 2013. Home starts were lower in August 2013 than through the earlier summer months, but still above where they were in 2012. And Deloitte is forecasting that expected holiday sales from November to January 2014 will be around $965 billion. That’s about a 4.5% increase over last year’s holiday sales. Taken together, we can be slightly more optimistic that 2014 tonnage levels and cargo loads will be above 2013 figures. As the cost of diesel gas continues to drop, trucking companies like Calhoun Truck Lines can better manage our budget on diesel costs. But regulatory measures scheduled to come into effect in 2014 may play havoc with those budgets, writes Fleet Owner magazine. It notes that the hours of service (HOS) regulations may still impact intermodal and cargo firms in 2014 in ways not yet expected. And there is still the issue of the Bridge Act that is being debated in Congress to restore our country’s roads, bridges and transportation infrastructure. 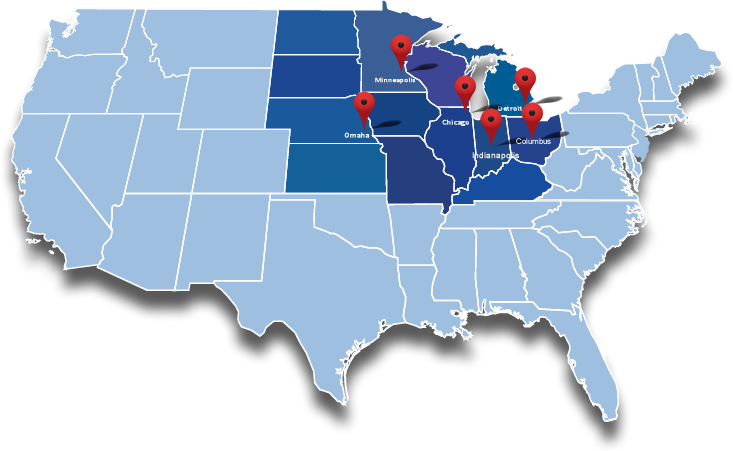 Based in Minnesota, with hubs around the Midwest, Calhoun Truck Lines maintains a solid presence across the heartland, maintains its fleets and driver levels to proper levels and works hard to deliver our loads to operations all across the Midwest. With a little luck, good timing, and restored economic growth in 2014, business levels should continue to show promise across the board.